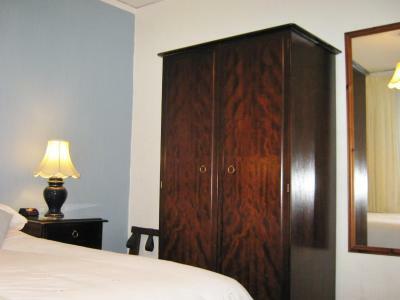 Lock in a great price for Dunedin Guest House – rated 9 by recent guests! Quiet but easy walk to centre. High standard of decor and facilities. Excellent staff. Breakfast and wait staff excellent. Host very friendly and helpful when we arrived. 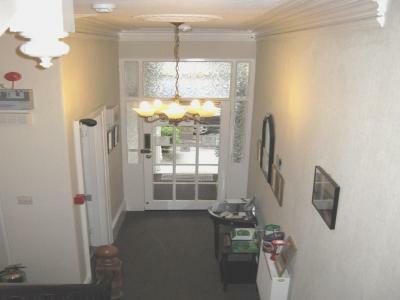 Decent walking distance from the seafront and several nice restaurants. Thoughtful arrival information - local diners, map and weather forecast. Wonderful fresh towels everyday. Pretty, well-appointed room with a clean and comfortable bed and nice sized bathroom. A beautiful Victorian home.Well run and efficient staff.Cooked breakfast that started your day off right!Nice bathroom and plenty of hot water and good flow in the shower.Easy street parking, with a 10 min walk to town center and bus terminal. Good guesthouse, we’ll decorated, comfy bed, good service. Convenient location. Friendly owners and staff. Walking distance to the CBD and bus stops. Great breakfasts. Street parking was convenient. Dunedin Guest House This rating is a reflection of how the property compares to the industry standard when it comes to price, facilities and services available. It's based on a self-evaluation by the property. Use this rating to help choose your stay! This large Victorian house is 1,650 feet from Penzance seafront. 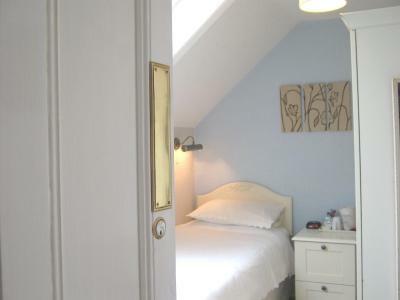 It has free WiFi, free parking and rooms with modern private bathrooms and Freeview TV. 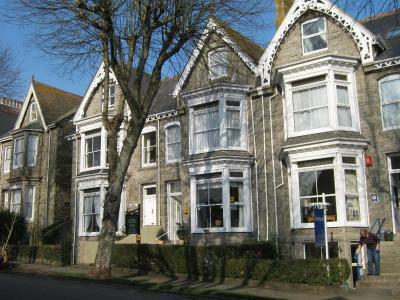 The Dunedin Guest House is on a road leading to the seafront, with its long promenade and sheltered bay. It is 2,650 feet from the shops, pubs and restaurants of Penzance town center. 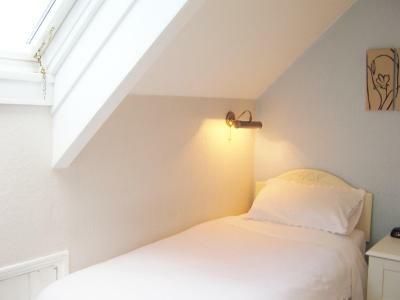 The house was built in 1886 and mixes original character with modern comforts. The rooms have TVs, radio alarm clocks, hairdryers, fans and tea/coffee. The Dunedin has a 4-star guest accommodations rating from the AA. When would you like to stay at Dunedin Guest House? Room rate is based on 3 people sharing. Reductions will apply if the room is booked for 2 people as a twin or double. Please note that this room is on the second floor. 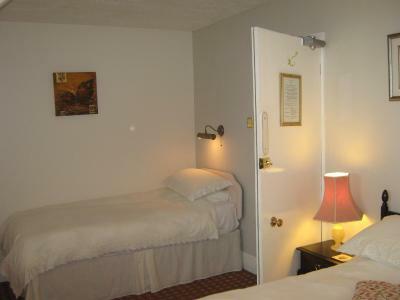 With free WiFi, each room also has a TV, radio alarm clock, hairdryer, fan and tea/coffee. 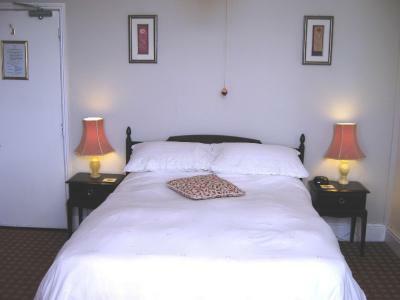 This ground floor twin room is set at the back of the property and has an electric kettle, ceiling fan and DVD player. 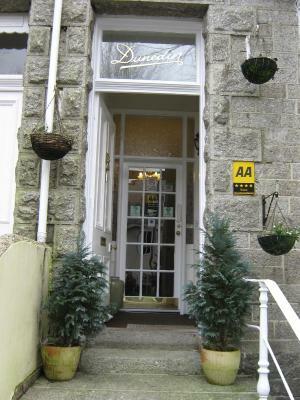 My wife, Linda, and myself (John) have owned the Dunedin since August 2002 and have maintained it's AA 4 Star Guest Accommodation rating since 2002. We pride ourselves in offering the best quality B&B accommodation and hope our past, present and future Guests enjoy their stay here. And by the way, Pipin (the boss) is not me (I am John) Pipin is our little dog. House Rules Dunedin Guest House takes special requests – add in the next step! Dunedin Guest House accepts these cards and reserves the right to temporarily hold an amount prior to arrival. Dunedin Guest House accepts cash, Sterling checks, Traveler's checks, and BACS payment. Please note that the property does not have a credit/debit card facility for customer-present transactions. The property cannot accommodate children under 12 years of age. Please inform Dunedin Guest House of your expected arrival time in advance. You can use the Special Requests box when booking, or contact the property directly using the contact details in your confirmation. The bed was a little on the hard side, and a sitting room would have been nice. Shower cubicle very small. Breakfast was very early. It stopped at 9. Would have prepared 10. The breakfast was amazing. Could fill up and be full till evening, also plenty of choices to choose from. The rooms were very clean, even towels washed every day. The staff were very obliging. I recently had a serious accident and struggle sleeping, so they always cleaned our room last, so I could rest after breakfast. There is a call bell in the hall to call the owners at any time. John, the owner was very helpful, providing a local map and a long list of decent places to eat. Very good location. Each room had an Echo gadget (like Alexa or Google) to ask questions of, set alarms etc. Decent size wardrobe and a lot of drawers for clothes storage. Small TV but lots of channels. Lovely hot shower. Plenty of road parking, even coming back late, could always park at worst a dozen houses up the road or in the first side road up. Altogether a very enjoyable experience, would recommend to anyone. Due to the exceptional warm weather the bathroom was very hot. Being on an internal wall there was no window.. The room was warm and the overhead fan made a lot of noise so could not be used. Parking was on the street and tricky. Nice breakfast, friendly proprietors and staff. I would prefer the breakfast to be served beetween 8-10 and not only between 8-9. It was not a problem for us but it could be sometimes. I'd liked a minifridge in the room. Very good selection of food for breakfast. Excellent choice for gluten free diet. Very spacious room. Very clean-spotless. Comfortable bed. Close to the centre, beach, park. Excellent in every respect. Spotless, comfortable, safe and well located. .... Our hosts were very welcoming ..... best big breakfasts ever! Very helpful with advice about the area, ordering taxis and when we locked keys in our case. Appreciated John’s dry sense of humour! Thankyou both for a great stay in Cornwall. Nothing , we found no problems at all. Dunedin was clean, comfortable and provided an excellent breakfast. John was helpful and very informative. Free parking turned out to be onstreet parking and it was sometimes difficult to park nearby (see others' similar comments). It would be more honest to say this up front. The room was pokey; it was at the top of the house with a sloping ceiling. There was hardly room to stand up and no room to sit down. The picture on the website dows not show how tight space is. The owner was helpful and gave good advice on places to visit. The location was good - a little way out from the centre suited me. The breakfast was ample if a little unimaginative for a modern B and B.